Our Context for Learning in P4W is Charlie and the Chocolate Factory. 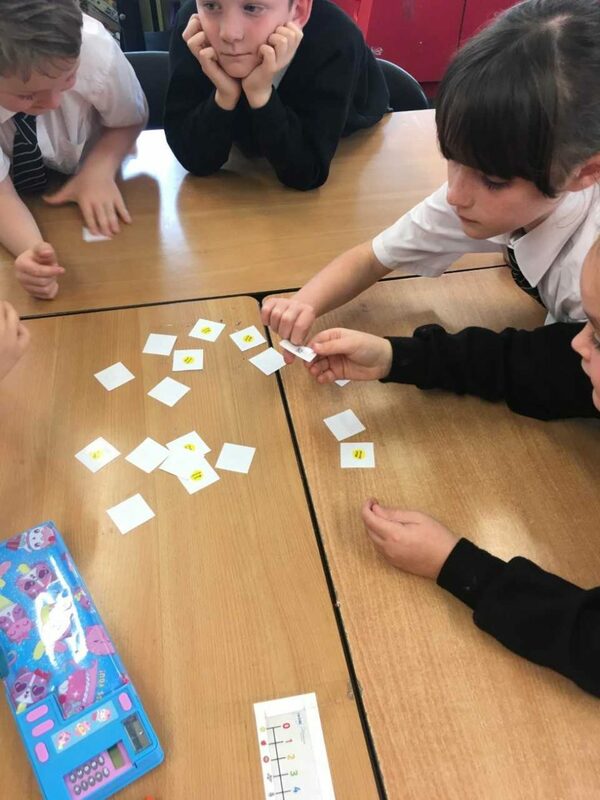 We have met lots of characters and wrote some descriptions about them using adjectives and similies – Augustus Gloop is the fattest and greediest person in the world. Charlie Bucket is very poor, Veruca Salt is very spoiled and Mike Teevee likes to watch TV. We did some drama in class. We had to act out a part that we liked in front of the class and everyone else had to guess which part of the book it was from. The popular scene was when all the old people were lying in bed! 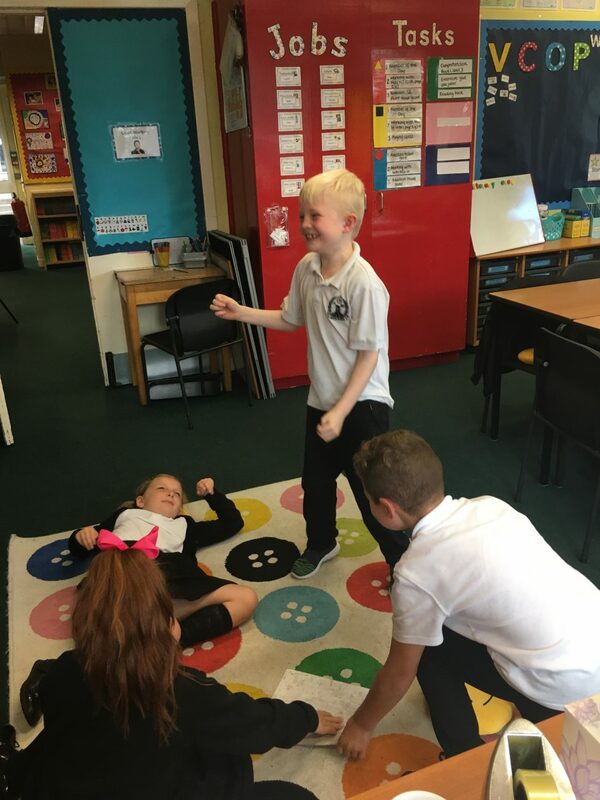 Kieran and his group acting out a scene from our class novel. 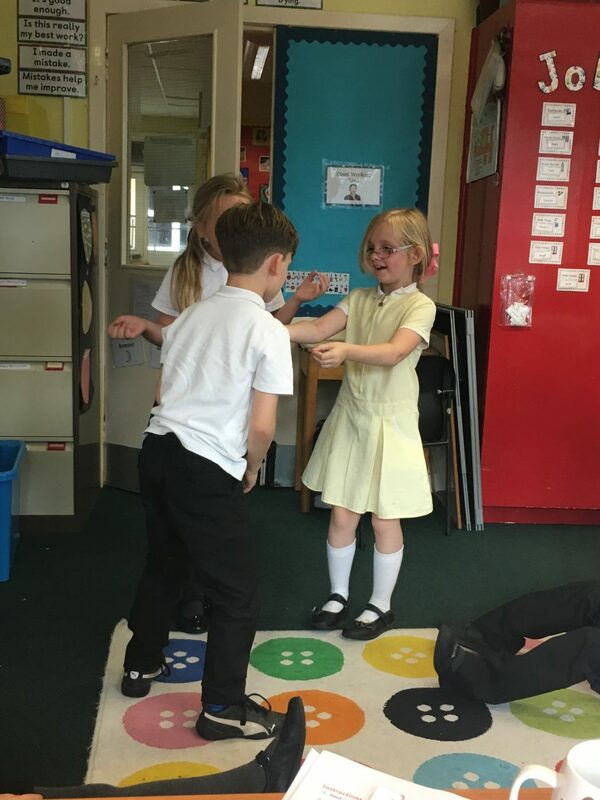 Danielle and her group worked together to act out a scene from Charlie and the Chocolate Factory. We have learned some French like how to say hello, goodbye and my name. We have also learned how to count to 20 in French. We went on a number hunt outside to match numbers up with the French words. We took turns to find the matching French word to our number. 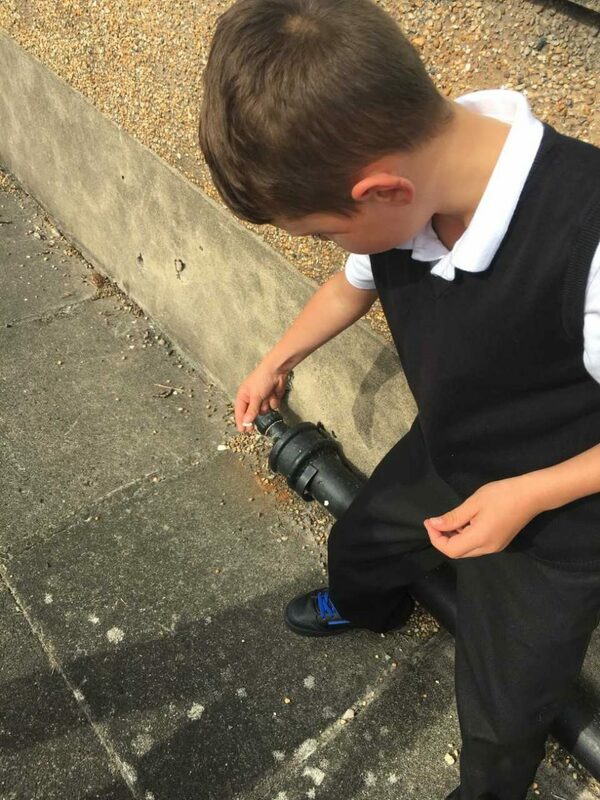 We also went outside for a French number hunt.